2. 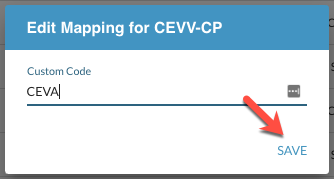 Once you are viewing the Ship Method Mapping section, sort by the Used By Partner header in Descending to show all the marked check boxes. 3. 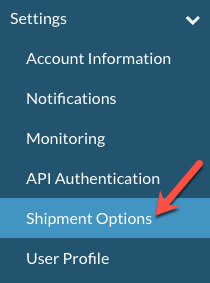 To configure your custom SCAC, click on Edit. A new window will appear where you can enter in the code that you want to come inbound (orders) and you will use outbound (shipments). Click Save. 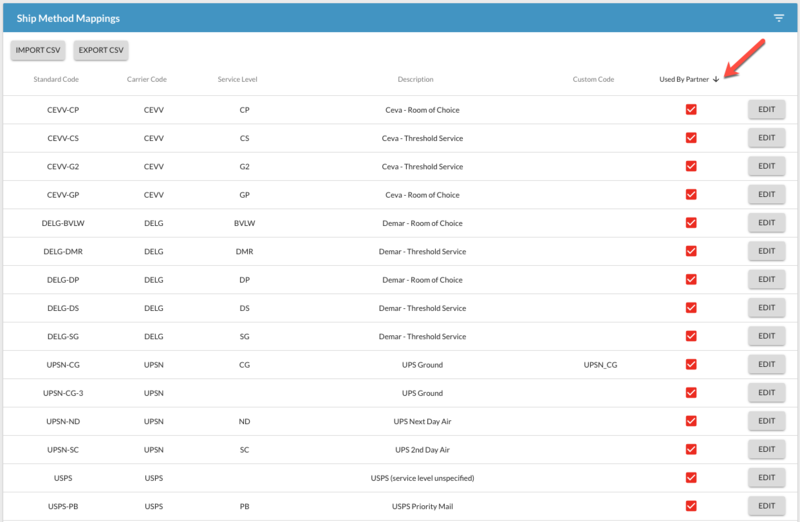 For EDI, this will make sure that any codes sent in the shipment in the ClassCode field or the TD505 field in EDI will properly send to the Retailer with the appropriate Carrier Code and Service Level Code.